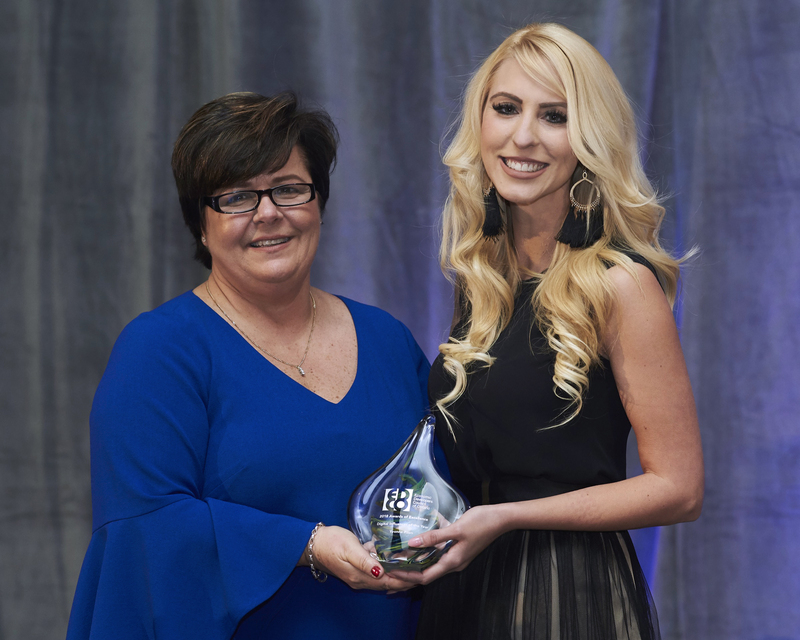 The Economic Developers Council of Ontario (EDCO) concluded its 62nd Annual Conference & Showcase with the President's Dinner and Awards Ceremony announcing the recipients of the 2018 Awards of Excellence. EDCO's Awards of Excellence program aims to recognize and celebrate the outstanding work in economic development happening around the province of Ontario. This year, 98 submissions were received and evaluated by an expert panel of judges with experience in marketing, communications, tourism and industrial/commercial development. 2019 EDCO President Delia Reiche welcomed over 300 guests to the reception and Master of Ceremony, Adam Growe, renowned Canadian comedian and host of Cash Cab, provided entertainment and announced the recipients. EDCO's most prestigious award, the Lieutenant Governor's Award for Economic Development Excellence, was presented to Ottawa Valley Recreational Trail Partners Group for the Ottawa Valley Recreational Trail Partnership. Finalists for the award included Sounds of Guelph, City of Guelph -Tourism Services and StudentBiz - Developing High School Entrepreneurs, Brantford-Brant Business Resource Enterprise Centre. The City of Owen Sound was voted as the Innovative Community of the Year for the Are You Most? Millenipreneur Recruitment video. Congratulations to all recipients of the 2018 Awards of Excellence. The projects and initiatives demonstrate extraordinary and innovative best practices in Ontario that are enhancing the economic development capacity in the Province of Ontario, resulting in vibrant, sustainable communities and economies.